This Yorkie Spring Decorative Pillow has been designed by Tricia St.Amant, whose work was recently seen at Crufts International Dog Show ! 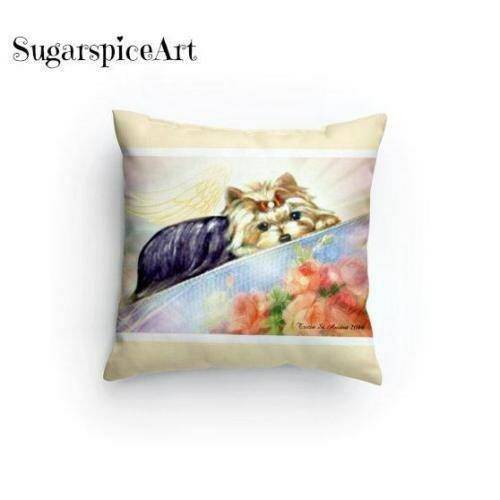 This fully cushioned pillow measures approximately 14 x 14 inches. Just as cute as the first pair I ordered. My daughter loves them! So Adorable!!! Thanks so much! 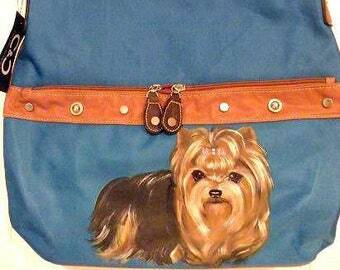 Order a Hand Painted Yorkie Custom Handbag Purse!